Sony has taken the wraps off its latest high-end Walkman, the NWZ-ZX1. The high-end Walkman is capable of playing high-resolution audio, alongside the usual audio formats, video and picture files. That includes MP3s, Mp4s and JPEGs. In essence, it means as well as being able to play music as it is found on CD players, it can also be played at the same quality it was recorded at. That means files encoded at up to 24bit/44.1kHz can be played on the device. The NWZ-ZX1 isn't the first Sony music player that can play music at that high fidelity, but it does have the largest hard drive of its type. It comes with 128GB hard drive – enough to store up to 800 high-resolution audio track. 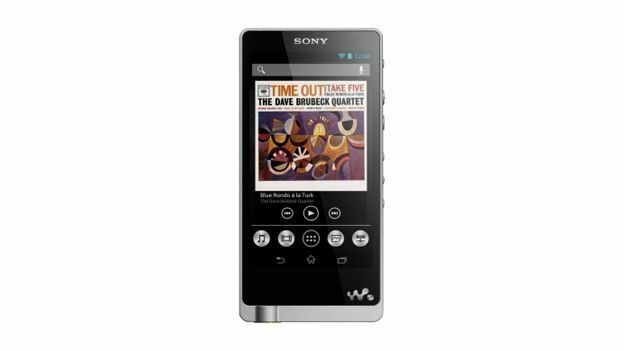 The Walkman also comes with a digital upscaler, meaning it will improve the quality of regular MP3s dramatically. Specs wise, it comes with NFC support and is powered by Android 4.1 Jelly Bean. It is also built incredibly well, coming with a brushed aluminium frame with a rubberised back. It will be available in the UK from February from £549.